Discovered on 20 March 04:00 PM EDT. Further ReadingDrilling on US public lands causes 24 percent of the nation’s CO2 emissionsThe opinion included an order to halt all new oil and gas leases on more than 300,000 acres of publicly managed land in Wyoming until the DOI's Bureau of Land Management (BLM) can complete a proper review. 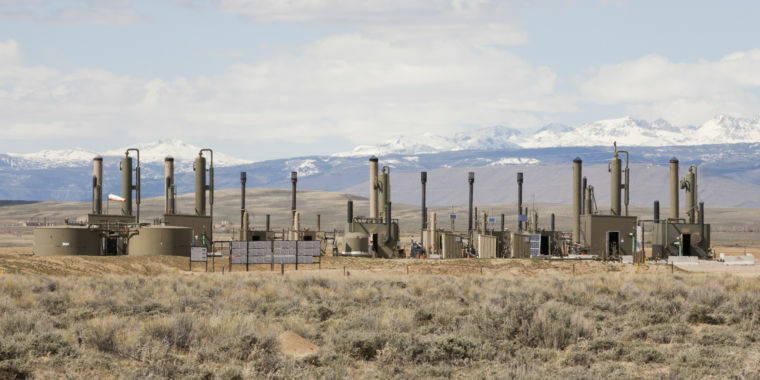 The plaintiffs, WildEarth Guardians and Physicians for Social Responsibility, argued that the DOI made oil and gas lease sales in Colorado, Utah, and Wyoming without taking into account the "direct, indirect, and cumulative" impacts to the climate that drilling would have. But the Judge in this case wrote that BLM must take into account the effect that using and burning fossil fuels will have on the environment because "producing oil and gas for consumption" is the whole point of leasing the land.